In addition to metal panels and metal trim, we also carry a full complement of fasteners, clips, underlayment, 1×4 purlins (and other structural components), tools, skylights, R-foil radiant barriers, and more. We carry a wide range of exposed fastener screws and low-profile pancake screws in various lengths and diameters designed for attachment to wood and metal. Exposed fastener screws are color matched to our panel paint colors. We also carry button caps, tin tabs, and an assortment of coil nails. If you have a special fastener requirement, we can most likely source it for you. We are pleased to distribute APOC Weather-Armor® and Tyvek® Protec™ underlayment. We have everything you need to make your roof system watertight–we carry an assortment of butyl tape and roofing caulk (colored and uncolored) as well as foam closures shaped to each profile. We also have pipe boots and goose necks. Most clip systems can be purchased with fixed and sliding clip options. 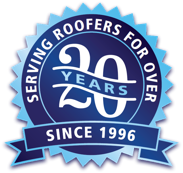 Typically used for reroofing applications. 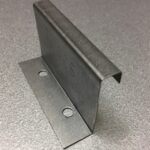 We also carry cee and zee purlins in 16ga and 14ga red iron. 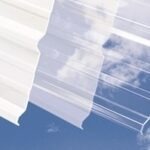 Matching polycarbonate skylight panels are available for GulfRib™ and GulfPBR™. We also have VELUX skylights available. 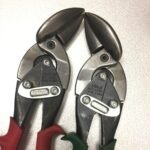 If you need snips, bending tools, hemming tools, or turboshears, we have them. Our bubble wrap radiant barrier is very popular in hot climates. Install with air gap for best results.